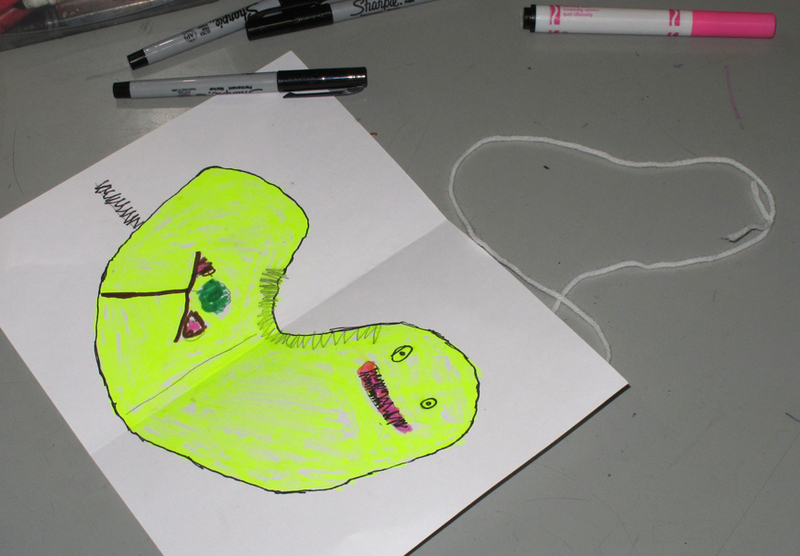 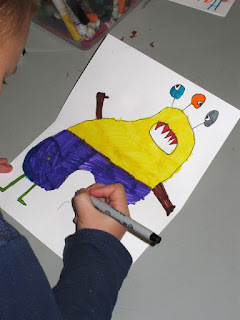 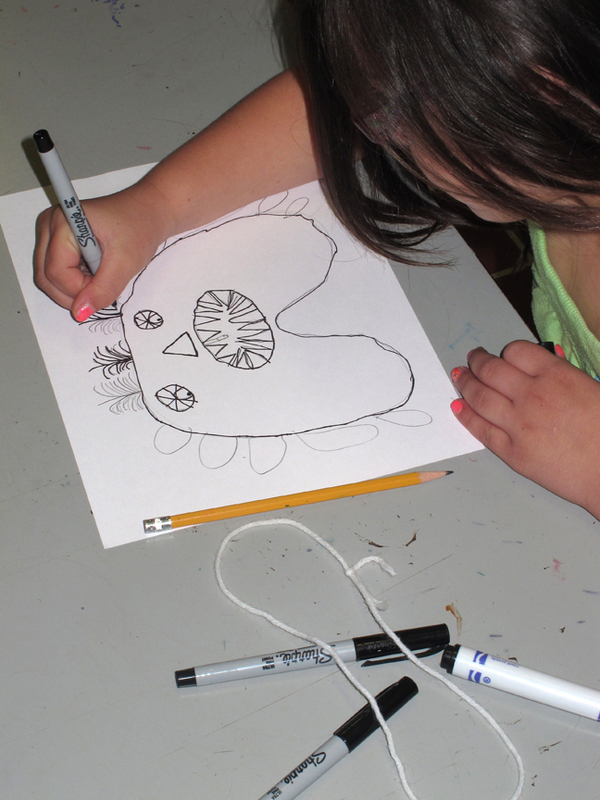 The first graders had a lot of fun turning a simple loop of yarn into an organic shape from which they created a monster with a special Mother's Day message. 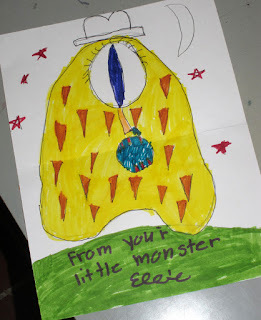 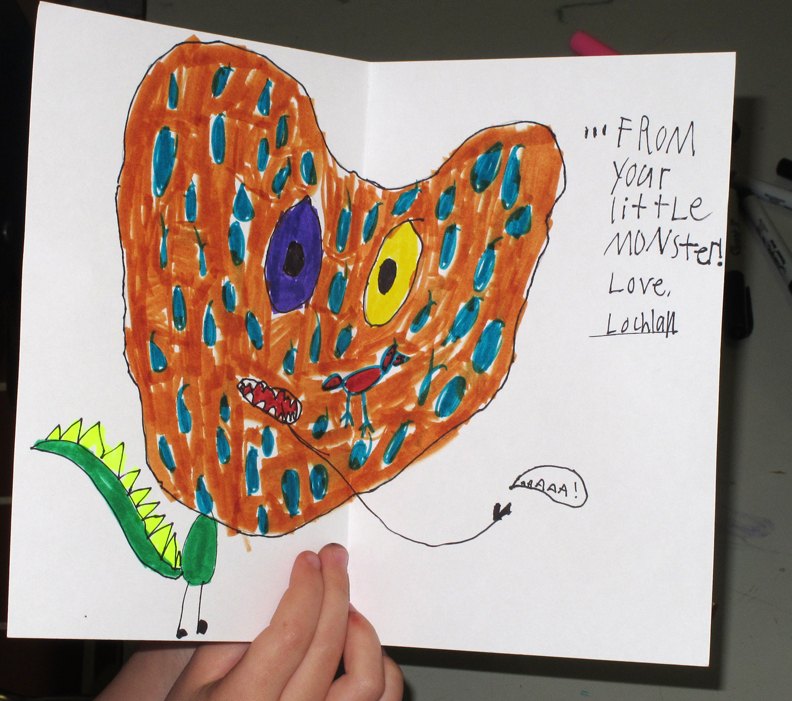 We took a little inspiration first by reading My Monster Momma Loves Me So by Laura Lueck and Mark Buehner. Then we discussed how shapes with names (squares, circles, triangles, etc.) aren't the only types of shapes used in art -- artists use "organic" shapes, too. 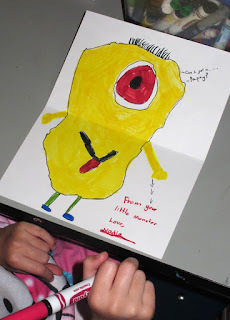 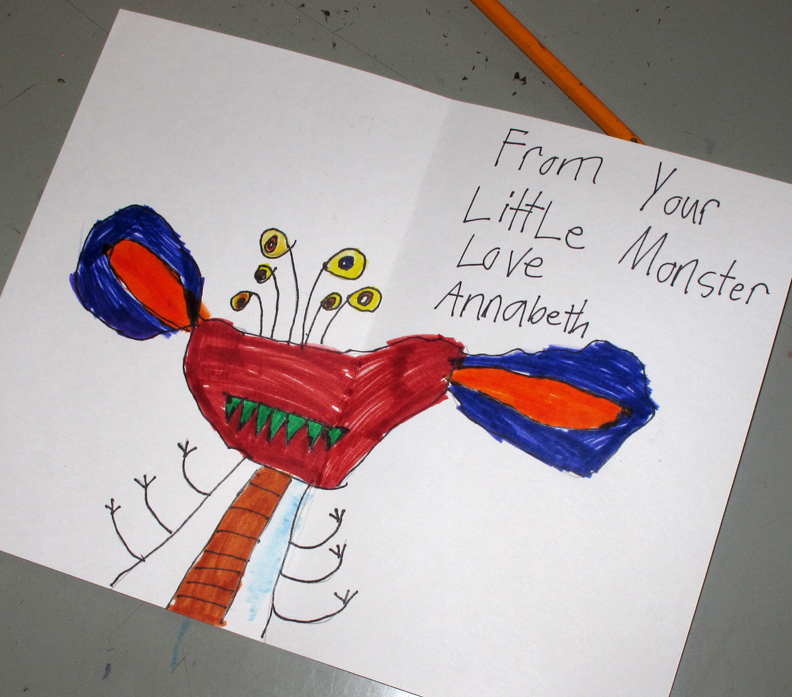 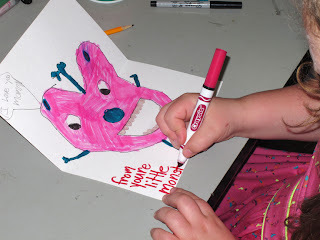 These cards read "Happy Mother's Day..." on the front and "From Your Little Monster!" on the inside.